Sony Legacy | Cue Castanets! We’re nearing the end of the year. A time suitable for looking back and thinking about what the past year has offered. In terms of vintage Spector sounds not much, I’m afraid. A quiet year then. No reissues from Sony Legacy in time for the all important Christmas sales. 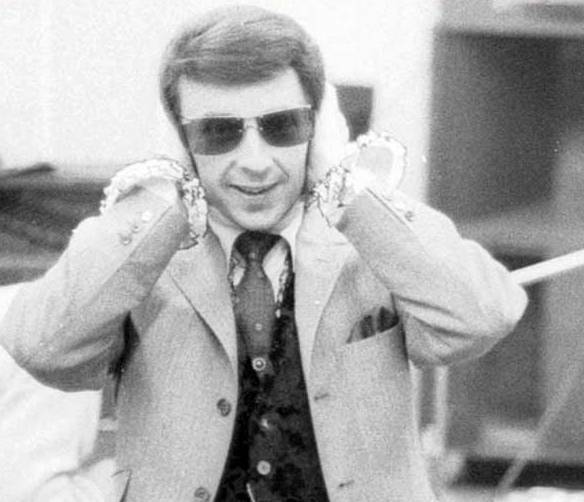 It was probably a wise move not to be too specific at this early stage as Phil Spector has been notoriously difficult to deal with in the past. On top of that, being behind bars due to the outcome of the Lana Clarkson trial certainly can’t have helped matters. Here’s what we know – spread out over a couple of, admittedly, nicely done and good-sounding compilations, we’ve basically had reissues of the same stuff collectors have had for decades on either vinyl, the Back to Mono box or the old ABKCO single-artist releases. Do I even have to tell you we’ve had the gazillion reissue of the Christmas album? 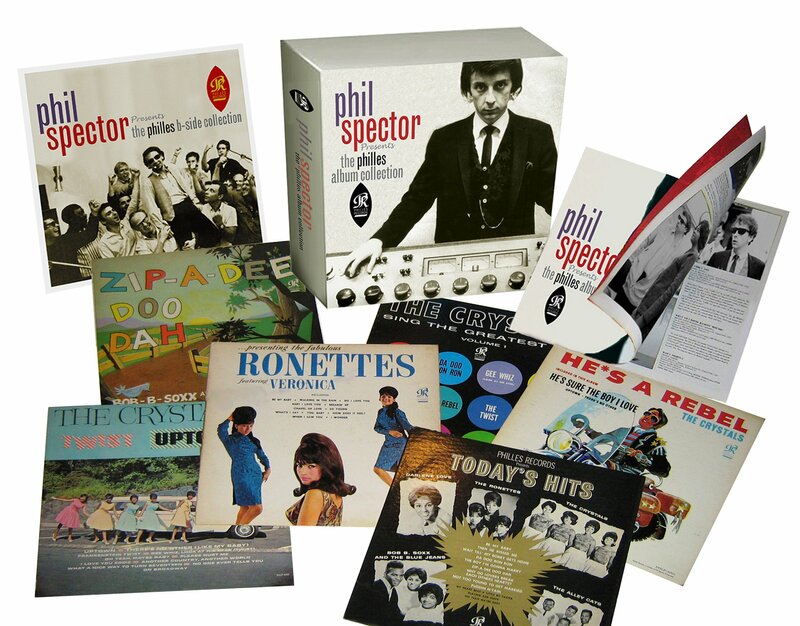 The only ‘meat’ in this campaign so far has been the unreleased Crystals take of ‘Woman in Love’ on the Crystals compilation and the stylish Philles Album Collection mini-box set with replica-sleeves, both released in 2011. The latter was a great release for sure but also proved a bit of a disappointment because that set’s rarities disc only included the instrumental throwaway B-sides so typical for Philles singles. This disc is where Sony Legacy really had a golden opportunity to present some of the unheard goodies that must no doubt linger in the Spector tape vault. The question of course is this – has this even been an option for them? Through other collectors I’ve heard rumors that Spector still controls his catalogue with an iron fist, even at this stage where he’s locked away. Apparently, Sony employees involved in the campaign have had meetings with him in prison, no doubt finding negotiations extremely difficult. Using the tapes for remixing iconic songs into first-time stereo releases? Forget it! Only mono! Unearthing all those half-baked or non-completed songs recorded during the Philles era and releasing them as an interesting ‘fly-on-the-wall’ listening experience? No way! You get the drift. As has been the case throughout Spector’s career he zealously guards his tapes, which are said to be well looked after with everything nicely catalogued by a few trusted people. I see before me ‘Little Symphonies for the Kids’ – an eight disc box luxuriously packaged with replica session sheets, reproductions of Ray Avery Gold Star photo shoots suitable for framing and a coffee table book that would make the otherwise great Back to Mono book seem like a children’s picture book in comparison. Disc 1 and 2: All new stereo mixes made with care and respect using the old tapes. This is where you’ll finally get to hear ‘This Could Be the Night’, ‘Is this What I Get for Loving You’ or ‘I Wonder’ (Crystals’ version) in crystal-clear stereo bringing out all the intricacies of the backing tracks and string arrangements. What a revelation that would be! Although the parallel dimension Phil hates stereo he’s willing to offer it to the fans. Disc 3 and 4: Rare and unreleased Philles-era stuff galore. Don’t worry. Not a single instrumental throwaway B-side in sight here! Instead you’ll get the obscure Philles-era releases as well as known unreleased tracks. 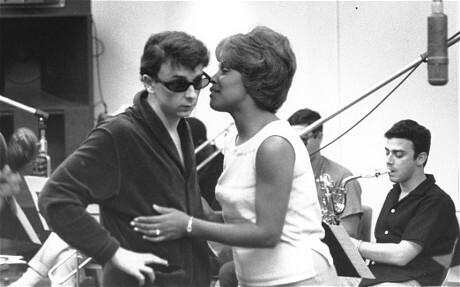 We’re talking stuff like ‘Home of the Brave’ by Bonnie & the Treasures, ‘Ringo I Love You’ by Bonnie Jo Mason, ‘He’s my Eddie Baby’ by the Lovelites, ‘Please be my Boyfriend’ by the Crystals, ‘Everything Under the Sun’ by Ike & Tina Turner,… and of course Phil’s own ‘Down at TJ’s theme song’ and ‘Lucy in London’. All in warm-sounding excellent mono mixes. But the real surprise here is the stuff we’ve only heard rumors about through the years. Some are finished productions, others are clearly works-in-progress with tentative vocal takes or missing string arrangements. This could include ‘Mary Ann’ and ‘Chico’s Girl’ by the Crystals, ‘It’s my Party’ and ‘Da Doo Ron Ron’ by Darlene Love, ‘Someday (Baby)’ and ‘Things are Changing’ by the Ronettes, a Philles’era ‘Soul & Inspiration’ by the Righteous Brothers and ‘Baby, Don’t You Get Crazy’ by the Checkmates Ltd. 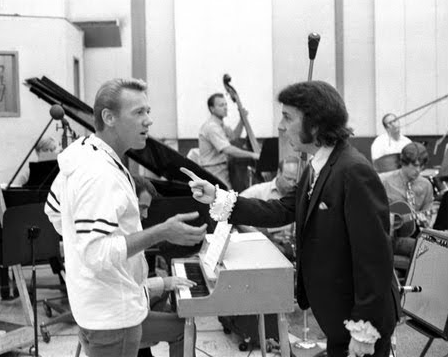 But among these songs which have long been rumored to exist you’ll also discover things completely from left field. Wait? Two new, finished songs with the Modern Folk Quartet proving that Spector could have pursued a Wall of Folk-Rock had he wanted to? And here’s a 2 minute and 15 seconds snippet of Brian Wilson and Phil running through ‘Don’t Hurt my Little Sister’ on the piano in Gold Star! And this next one – why, it’s a Philles-era ‘New York’s a Lonely Town’ credited to the Treasures with a much more intricate arrangement than the Red Bird release. And skip to track 14 on CD 4 – a fully fledged production with Harry Nillson singing a majestic ballad… There’s no telling how much gold the Spector tape vault includes but I’ll bet there’s a great deal – if nothing else, I’m sure his in-house producers Jerry Riopelle and Pete Anders & Vinnie Poncia must have committed quite a few interesting sessions and song ideas to tape. Finally, two discs comprising the Wall of Sound stuff Spector has worked on since shutting down Philles, including unreleased stuff. You’ll get a stereo ‘You Came, You Saw, You Conquered’ by the Ronettes, choice cuts from the George Harrison and John Lennon projects including nice-sounding stereo version of ‘Lovely Laddy Day’ and ‘You’ sung by Ronnie Spector, ‘A Woman’s Story’ and ‘Baby I Love You’ by Cher for the first time on CD. Check out the unreleased songs by Jerri Bo Keno and the Paley Brothers, – you’ll even find that horrible Kim Fowley track from the old ‘Spector 74/79’ LP! Best of all, after an alternative take of Baby I Love You by the Ramones you’ll finally get to hear the three backing tracks recorded during the aborted Celine Dion sessions in the early 90s. Her vocals have been taken off due to contractual reasons but hearing ‘Is this what I Get for Loving You’ pulsating in shimmering stereo is pure bliss. Final track on the box? ‘Silence is Easy’ by Starsailor – the ‘unused Phil Spector mix.’ Much heavier on the echo, a dense wall of strummed acoustic guitars added, more glockenspiel tinkling in the background and even a string arrangement introduced half-way through. 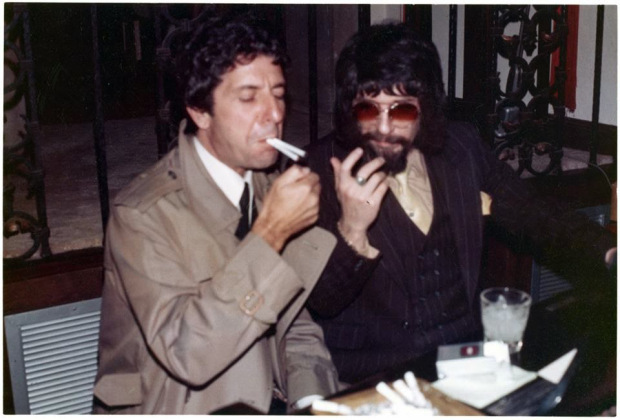 Sure, there’ll be some outtakes from the Leonard Cohen album as well. Too good to be true, isn’t it? And of course, this is something that one can only fantasize about. But still, the fact that the Sony Legacy reissue campaign hasn’t resulted in just a tiny bit along these lines is heartbreakening. Time will tell if we ever get to see anything come out of this deal or the Spector tapes in general in the future. Cross your fingers!